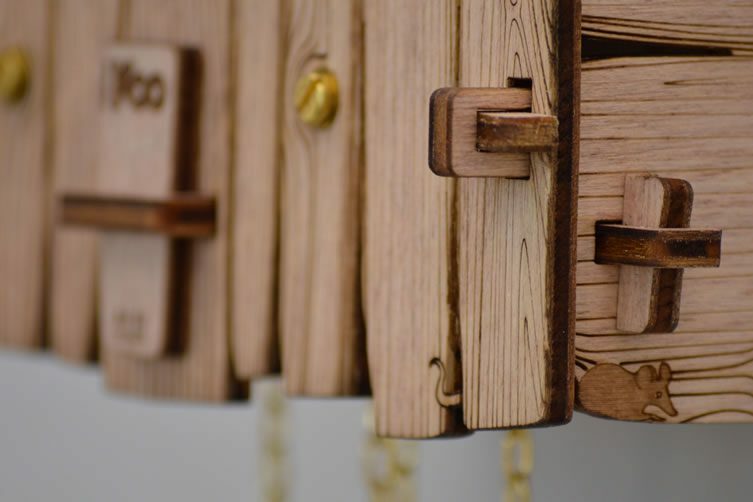 As synonymous with timepieces as remaining neutral at war, it was an easy mistake I’d made … pinning the history of the cuckoo clock on the Swiss. I’m reminded that Germany’s Black Forest doesn’t just have a famous cake. Or ham. Bound by the Rhine valley, it is the Germans who lay claim to the famous clock. 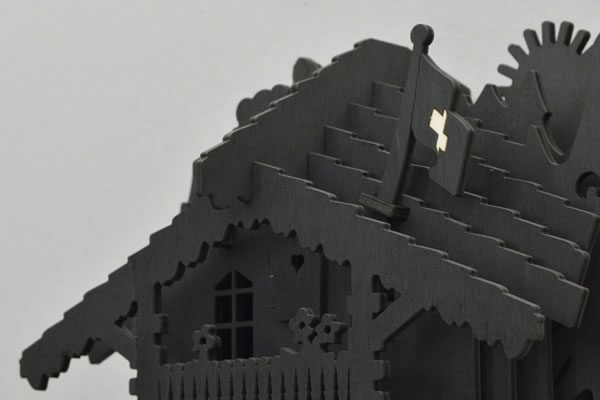 But it is here, in Switzerland, on a recent escapade to Lausanne, where I come across handmade cuckoo clocks that demand further investigation. 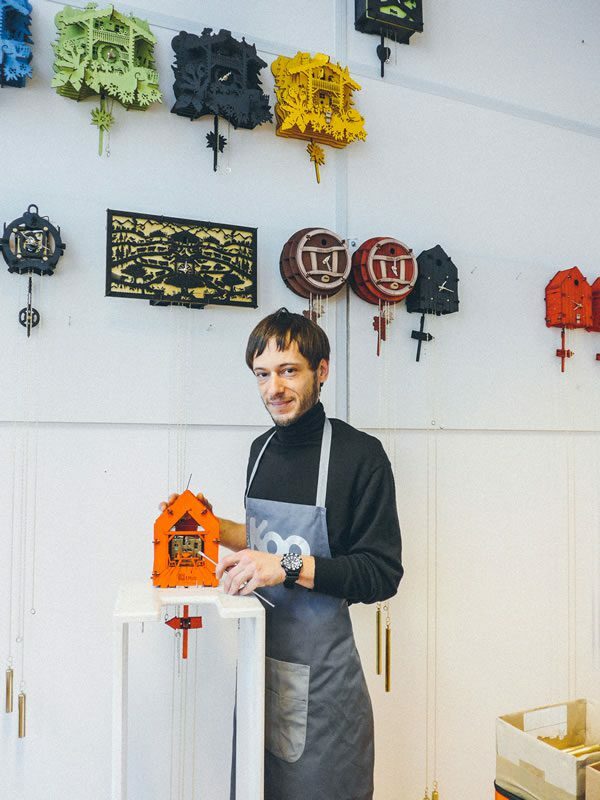 The moment I saw a Swiss Koo clock, I knew that I had to find out more — to check out their workshop, and speak to the founders; industrial designers Alexandre Gaillard and Martino D’Esposito. The clocks offer a modern twist on the folksy style we’re all accustomed to. 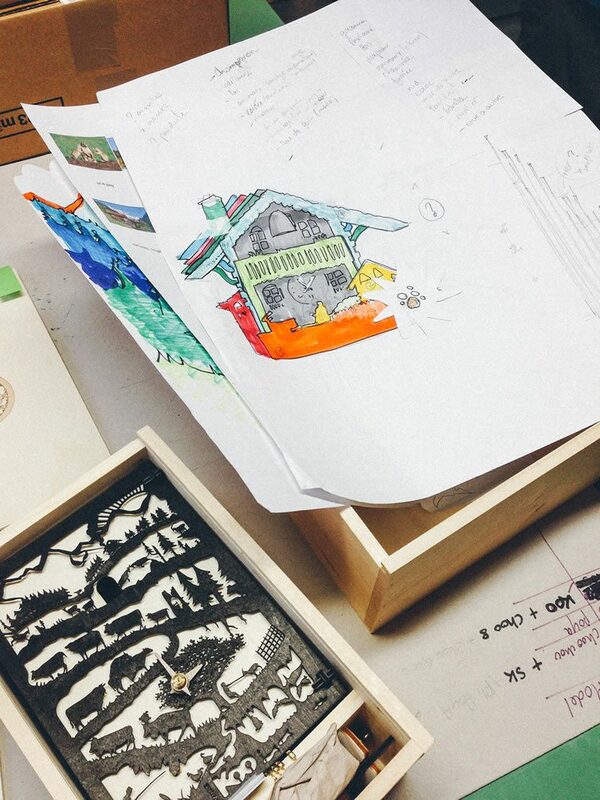 Inspired by tradition — of old station houses or fairy tales — twinned with contemporary aesthetic, always produced by hand. What I discover, when meeting Martino one sunny morning, further reiterates the notion of artisanal sensibilities in the city. 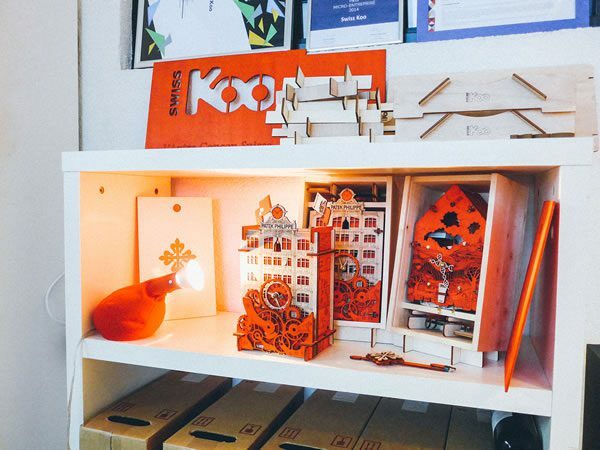 Homemade design is a lifestyle in Lausanne, not a fashion thing; everyone proudly championing it. After several years working for design studios in Switzerland, the boys became disillusioned with the ‘design business’. Annoyed by constant amends; changes; budget cuts, they’d simply had enough of working for others — founding Swiss Koo in 2013; on the basis of friendship, and a passion for locally-made products. Both now lecture at ECAL art and design university in Lausanne, alongside running the workshop and business full time. 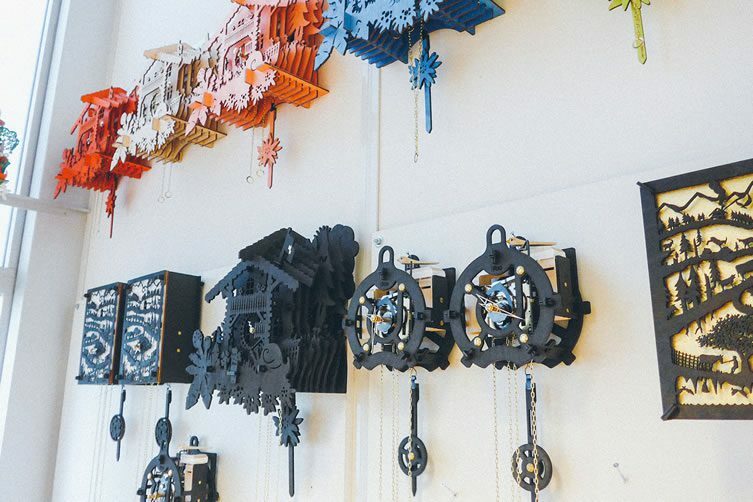 I was thrilled that they had the time to explain the narrative behind their vibrant clocks, how they are made, and the birth of a truly Swiss cuckoo clock. You are both experienced industrial engineers by trade, why the move into clocks? It’s funny, but most people are unaware that the Swiss don’t make cuckoo clocks. We want to make something that is completely Swiss. Not only in tradition, but in movement — the entire process. Our cuckoo clocks are more of a medium in that sense, we communicate with them. 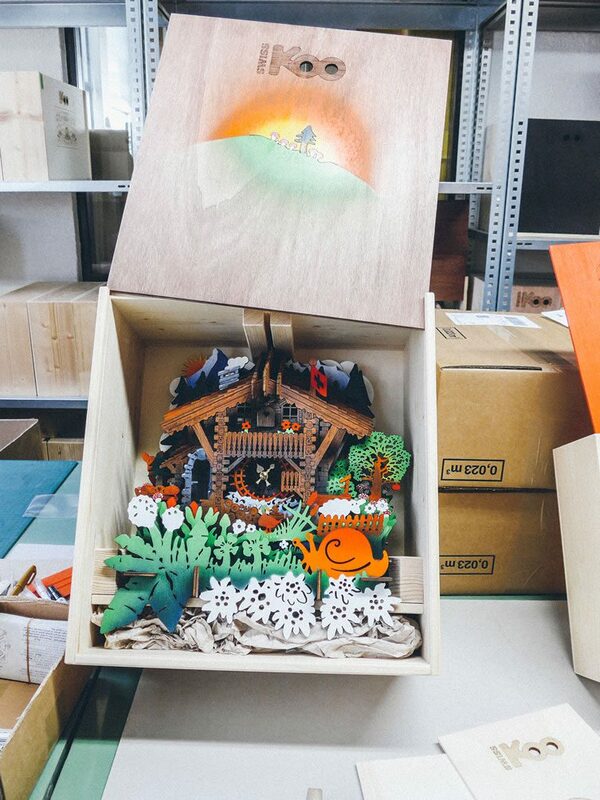 That’s where customisation comes in; we work with clients to make their clocks unique to them. 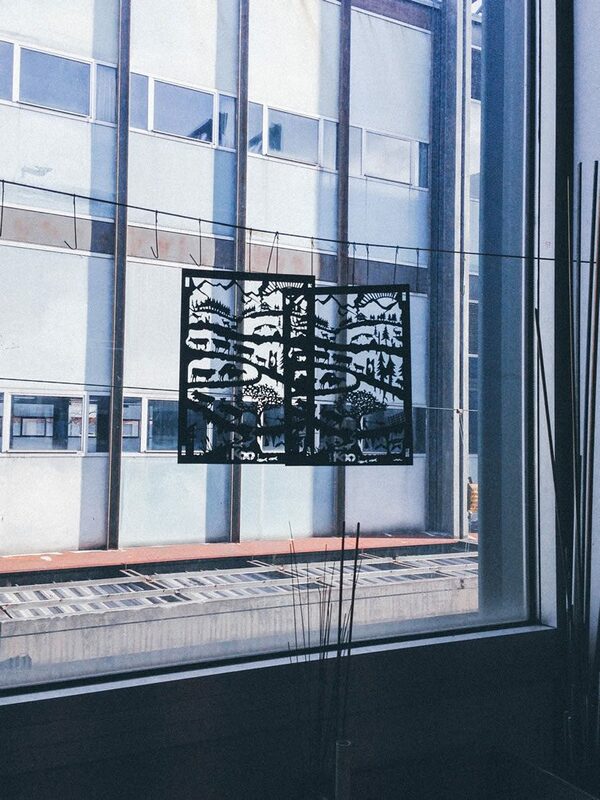 We can tell a story on the clock, using various laser cut and burn methods. There is only one other factory in the country that makes these types of clocks in Switzerland … after all, it’s a German invention; all cuckoo clocks have a German heart. We are now in the process of designing real Swiss movements, and we will be the first people to do so. 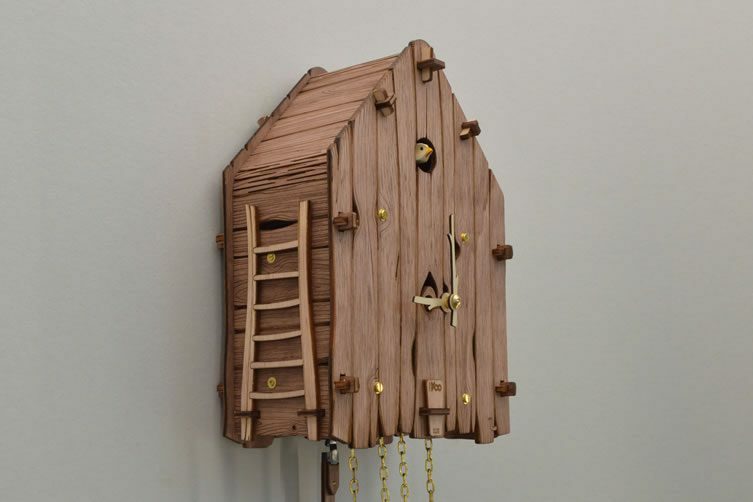 How do the cuckoo clocks actually work? It’s a very old system that is actually very simple: You have weights, and they make the mechanism work. To rewind or ‘recharge’, all you need to do is pull the chain. 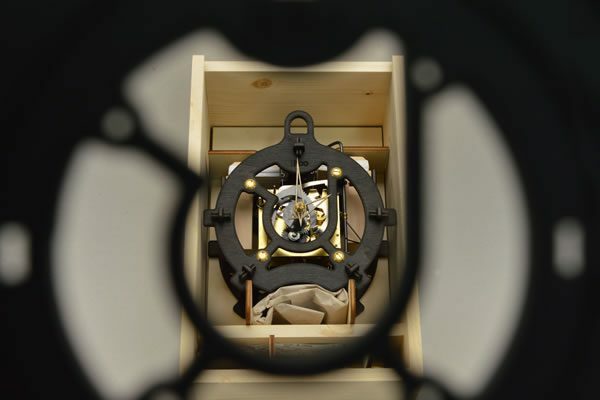 The whole mechanism is motored by the weights, and you need to pull them up every 24 hours … or eight days, depending on which movement you have. So you don’t need batteries, and gravity is everywhere — making it an easy system. One weight makes the pendulum work, and the other weights make the bird and the bellows work. The whole thing about our clocks is that they are made without using glue or nails; we can assemble and disassemble them easily. This means we can customise them, and fix them easily, which actually makes our clocks a lot more durable. If we had used glue, we wouldn’t be able to disassemble them, and they’d be rendered useless if broken. 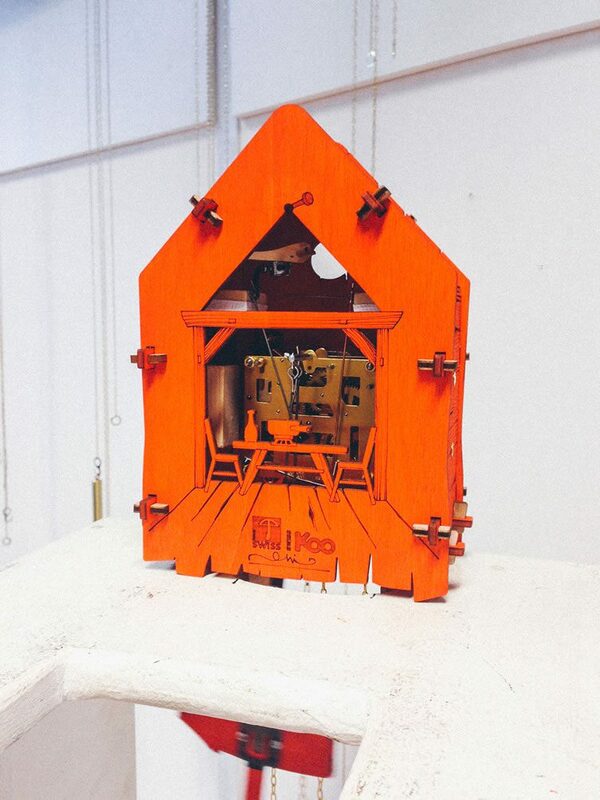 We quite like showing the mechanism in our designs too, because it shows how the cuckoo clocks work. In most others, the mechanism is hidden. These clocks look like they bring joy to people, not just function, was that a design consideration? The clocks are definitely a discussion feature. They make great entrance pieces, and become conversation starters, in people’s homes. Like the funny thing you show to people when they arrive at your dinner party; the clocks are more than just a product. 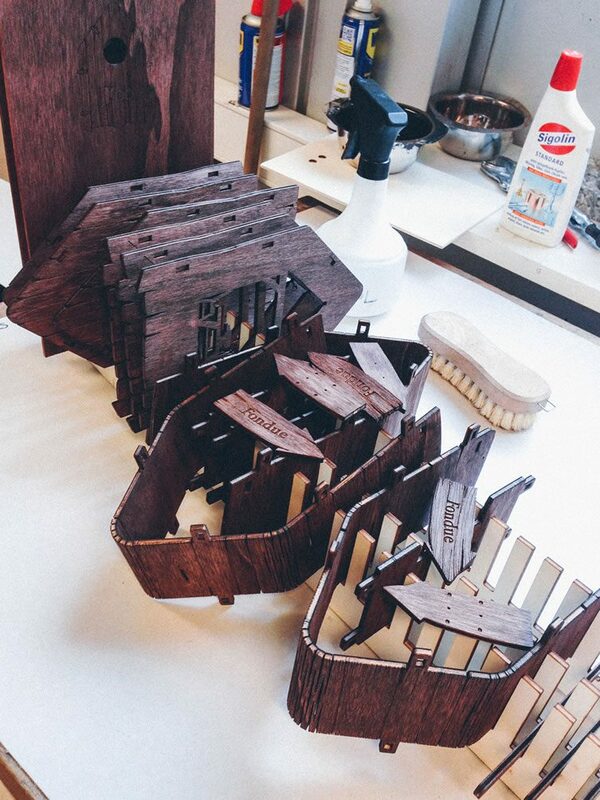 So you make everything in your workshop … from cutting, to painting, to assembling? 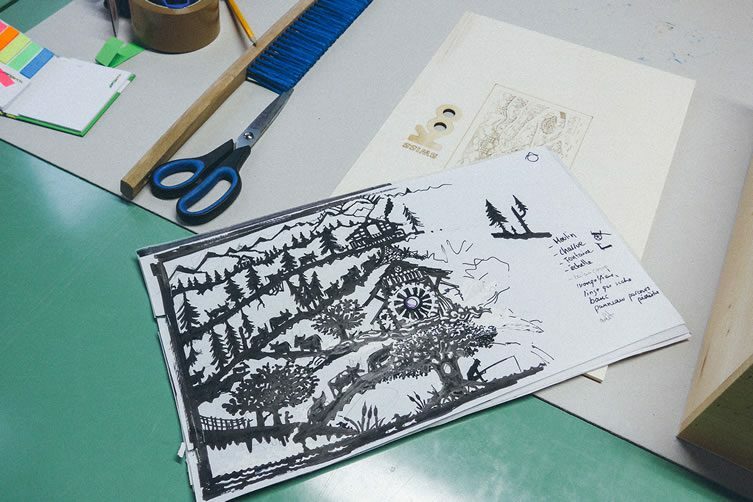 Yes, we have our own laser that can reproduce a drawing or design. The laser only repeats what is made by hand anyway. We create, and the laser ‘re-creates’. Finding the right equilibrium with the laser is important, so it doesn’t cut away too much of the wood. 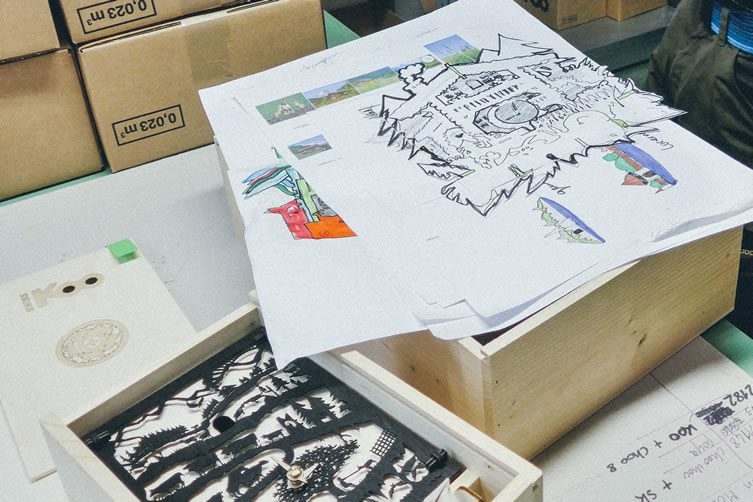 The little details on our designs are really important … we need to test a lot! Some of the more complex designs can take up to a week. Certain details are hand-painted, so it takes quite a long time. We usually use spray paint to decorate but we are looking into making the process cleaner, and quicker, with screen-printing. Which is great because it works with our ‘made-by-hand’ principles. What’s next for Swiss Koo; for you, and for Alexandre? Right now we have two part time employees, but we’d really like to find somebody to be full time; someone who knows all about clocks, so we can be completely independent. We love making these clocks, but we don’t want to be limited to them. We have other ideas for other products, and we’d like to make our workshop autonomous — so we need someone who knows the clocks, but also has some ideas. We’re also very open to collaborations too. 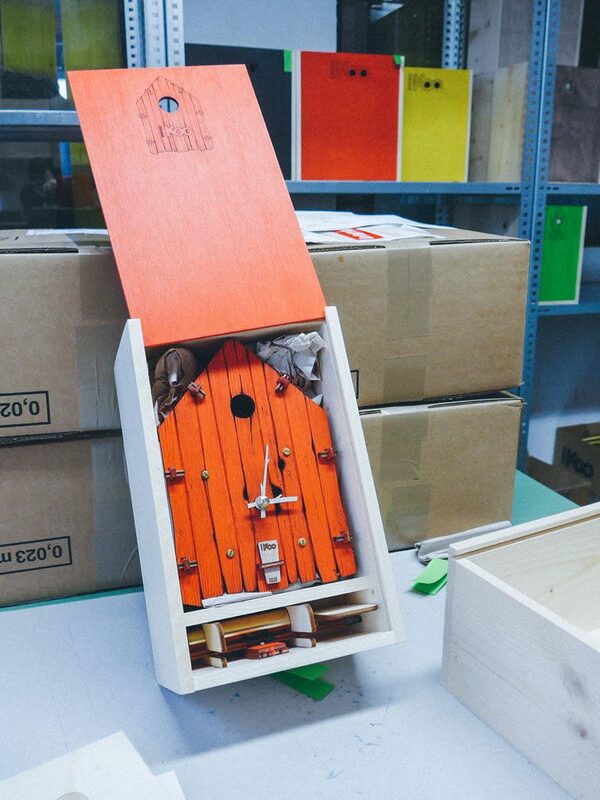 We’d love it if world famous artists wanted to make one of our cuckoo clocks. We’ve such a long way to go with the clocks, because we have so much to do on them. The cuckoo clock has been asleep for the past fifty years and we need to catch up. Alexandre and I are still industrial designers, we have lots of new ideas, and we want to make them happen.